“Imagine how much better we’d be if we did everything two more steps” – Bob Krier, Head Coach of the USA U23 Men’s National Team, referring to two extra reps of movement after a speed ladder exercise. What makes a good coach? These two quotes contrast the difference between being inspiring in big moments and the little statements that coaches make on a day to day basis. One is part of one of the most famous speeches in all of sports. The other, a coach uses repeatedly to focus players on the small task at hand, the little pieces that make up a season. I used to to think that coaching was Herb Brooks. The reality is that coaching is an ability to focus players in a series of moments that build upon each in order to reach success. Good coaching is not just an expertise in strategy and tactics. Good coaching goes to great lengths to link successive drills, practices, games and seasons together. 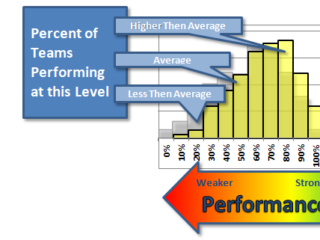 Good coaches intentionally pick their phrasing and their mindset in order to smoothly aid the team’s progression. They often preach principles to teach players what to do instead of using hard rules that state which paths not to take. Successful coaching comes in many different forms, with multiple right ways to find success. 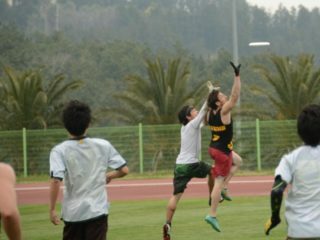 I started writing about ultimate in 2011 with hopes of learning and growing as a future coach. At the time, I thought I could be excellent strategist. Growing up a Giants fan, I saw Belichick’s defensive scheme take down the Bills in Super Bowl XXV, and all I wanted to do was figure out the equivalent for ultimate. 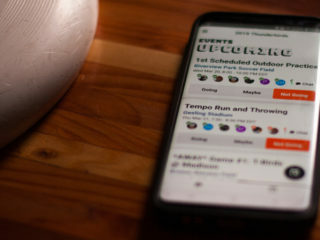 Providing coverage to the club and college scene through Skyd was a great way to undergo tutelage from the very best. 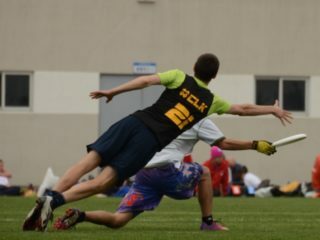 Zones, strategies, and tactics that I “stole” gave me an advantage, and my teams won a few games down the road as a result. My improvement didn’t come from figuring out new strategies, but rather through learning new ways to teach concepts. Discovering the theoretical constructs that let us communicate ideas and then revisiting my fundamental assumptions has made me a more effective coach today. Some of my favorite experiences have been the opportunities I’ve had to pick the brains of great coaches and teams, all in hopes of adding to my repertoire. I did this most recently at the U23 tryouts in Orlando. No one is more in en vogue right now as Bob Krier, the coach of both the U23 men’s team and Johnny Bravo, the most recent USAU Club winners. Heading into the tryout, I wanted a better view of how Krier, his staff, and other U23 coaches ran things. What made Krier’s team and his coaching style successful? 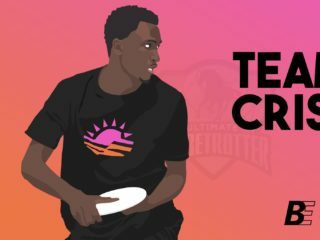 My observations of Krier throughout tryouts sparked me to write an article about trends in coaching in ultimate. Tryouts also reminded me of my own journey, from being University at Buffalo player to a Skyd correspondent, NGN Commentator, and now PoNY’s defensive coach. This series is about what I’ve learned through that journey, observations from U23 tryouts, and principles that I have used to get better. I owe much of my success to Skyd and Elliot Trotter. I’ve spent four years as part of Skyd in many different roles, and it only happened because of the tremendous faith placed in me and opportunity that I was given. Two of those years consisted of me running the majority of coverage and writing. I have to also thank Jonathan Neeley for teaching me how to put together a cohesive article. Since my transition to coaching in late 2012, I have hardly written at all. However, I would hate to see this be the last time that I write for Skyd. If you have liked what I’ve written, or what Skyd has produced ever, please donate to the Skyd Fund. Expect part one of the series to come out next week!